Here at Chimcare, our services don’t just stop at chimneys! We also specialize in dryer vent cleaning. Maintenance of your dryer vent is just as important for the safety of your home and family as taking good care of your chimney. Over time, your dryer vent is likely to get clogged with lint, dust, hair and other airborne particles. 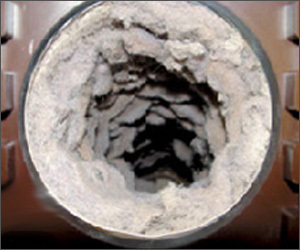 The lint that builds up inside all dryer vents over time can reduce airflow to the dryer, backing up the heat exhaust. This buildup in your dryer vent is very dangerous, since it can lead to fire. A dryer is designed to vent out the heat and moisture while it is drying, so if the heat and moisture cannot escape properly due to a clogged vent or heating exhaust, the dryer has to work harder to dry the clothes. This causes the heat to increase, which can lead to the lint and materials clogging the vent to catch fire. The first sign that your dryer vent might need to be cleaned is when a full cycle doesn’t completely dry a reasonably-sized load of laundry. Even if a clogged dryer vent doesn’t catch fire, it is still causing your dryer to function at less-than-optimal efficiency, and may also be increasing your home’s energy consumption. 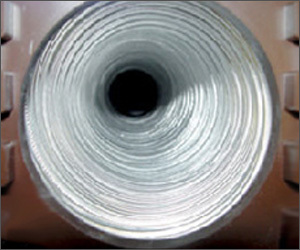 Chimcare offers dryer vent cleaning services to clear and maintain a safe, functioning dryer. With gas dryers, there is also concern of carbon monoxide (CO) poisoning. Since lint and flue gases use the same avenue of exit from the house, a blocked vent can cause CO fumes to back up into the house. Cleaning your dryer vent will keep these fumes that are colorless and odorless out of harm’s way. Low-level CO poisoning mimics flu symptoms (without the fever): headache, weakness, nausea, disorientation and deep fatigue. At higher levels, occupants can fall asleep, lapse into a coma and die. Chimcare’s dryer vent cleaning service is a very quick and simple fix that will even wind up paying for itself. A clogged dryer vent prolongs your drying time, and your dryer has to work much harder, causing your electric bills to spike. On average, a vent cleaning saves homes $18-24 every month. It depends on the length of the vent and the density of the lint, but it usually takes us about an hour to do a cleaning. It is a quick fix for a common problem. Chimcare uses Abatement HEPA-Aire duct cleaning process — the most efficient cleaning system available today. It utilizes powerful positive and negative airflow along with agitating brushes to reach and clean every crevice of your duct system. Call Chimcare today, or fill out our contact form and a representative will contact you to discuss your dryer vent cleaning service. We will deliver peace of mind in knowing your home and family are safe and your dryer is functioning at its maximum capacity.